It’s time for another installment in my Superfoods for Fertility Blog Series! I’m really excited about this one – today is all about BONE BROTH! Seriously, I recommend bone broth for everything. As far as I’m concerned, it’s a miracle elixir fix all :). If you’re just joining me for this Superfoods for Fertility Blog Series and you’d like to catch up, Part One of the Superfoods for Fertility blog series was all about about Chia Seeds, Part Two explained why Maca Root is awesome, Part Three explained all things Egg Yolks, and Part Four gave you everything you need to know about Wild Caught Seafood and your fertility. Broth or stock (as it is commonly called) is a mineral-rich infusion made by boiling bones of healthy animals with vegetables, herbs and spices. It has been used for centuries in many traditional cultures as a healing, and fertility-enhancing food. There’s a reason Grandma always made us chicken soup when we’re sick with the flu and there is even evidence to support this theory. But the medicinal properties of bone broth certainly don’t stop at the flu. It’s been used to help babies alleviate digestive problems and colic. The French believe in the healing power of gelatin rich broth for many chronic diseases. Ancient South American proverbs tell that broth will even decrease the pain of childbirth. Ancient Chinese Medicine practices dictate that bones are associated with the kidney system and the bone marrow is associated with the kidney jing – the deepest level of our body. Jing represents our foundation, life force, genetics, libido, fertility, memory and brain function. The Jewish refer to bone broth as ‘Jewish Penicillin’ – it cures all things. 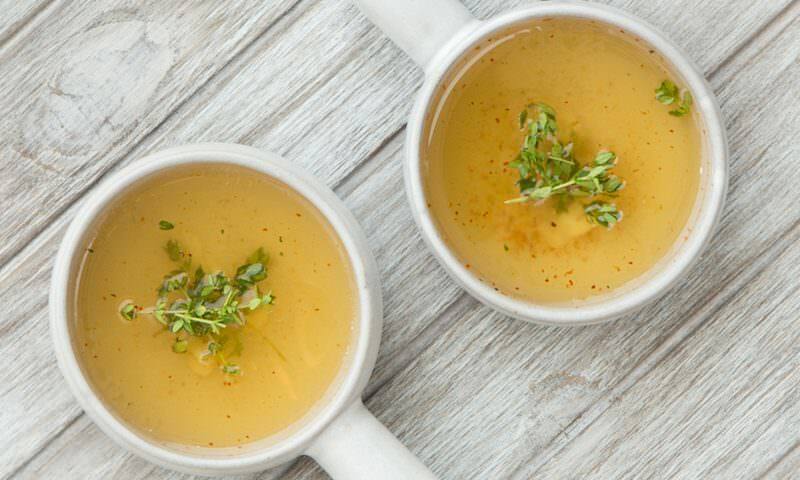 What makes Bone Broth good for fertility? Bone broth is one of our most healing diet staples. It contains valuable minerals in a form your body can easily absorb and use, including calcium, magnesium, phosphorus, silicon, sulfur chondroitin, glucosamine, and a variety of trace minerals that are vital for creating a healthy new life. Your gut health is directly linked to your hormonal health – if you have a leaky gut, your body is unable to properly absorb the nutrients and minerals it needs to produce hormones. That’s how vital your gut health is to a balanced hormonal system! 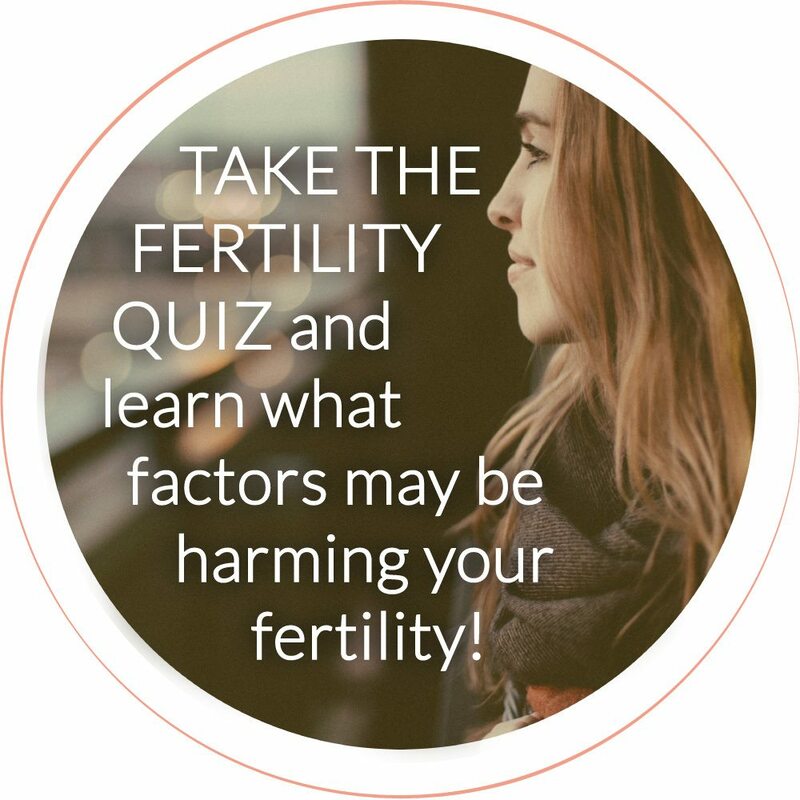 The majority of the women I work with to improve fertility and/or optimize hormone balance have some kind of digestive challenge – constipation, diarrhea, bloating, gas, IBS, food allergies, and more. And most of them have no idea how connected their gut health is with their hormonal woes. Bone broth helps to heal and seal your gut, preventing leaky gut and the resulting food allergy development, while also helping to promote healthy digestion. The gelatin found in bone broth is actually what is responsible for this healing and sealing. It essentially fills in the holes of a leaky gut and should be a part of any gut healing regimen. A digestive issue I see in my practice ALL THE TIME is food sensitivities and allergies. Both of these trigger inflammation in the gut and, as a coping method, the body produces additional cortisol (the stress hormone), diverting precious energy AWAY from the systems of the body that are not necessary for survival (i.e. the reproductive system), disrupting the delicate balance of your reproductive hormones … in turn, negatively affecting your fertility. Bone broth nourishes the gut lining, which both prevents the development of food allergies, and also the healing from food allergies and sensitivities. Bone broth is a rich source of the amino acids proline, glycine, glutamine and arginine. These amino acids are essential for hormone production and for proper liver detoxification which allows your body to get rid of the hormones already used up so they don’t continue circulating in the bloodstream, wreaking havoc on hormone balance. 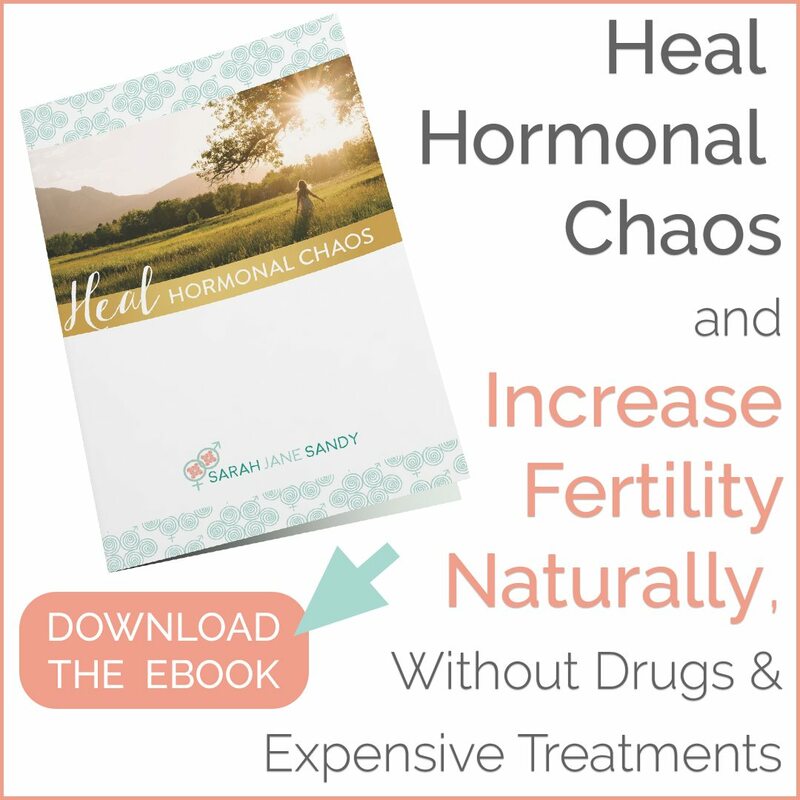 When your hormones are out of whack, you are more likely to develop fertility issues like PCOS (polycystic ovarian syndrome) and endometriosis. Having a strong supply of amino acids in your body ensures the best internal ecosystem for optimum fertility. We’ve all heard of collagen, right? It’s essentially the glue that keeps our skin and tissues held together. Most commonly it’s known to to repair our cells and tissues. It’s also necessary for strong teeth, bones, hair and fingernails. The high collagen content in broth along with the gelatin are responsible for the benefits to your hair, skin and nails. This is why you always want to make sure your broth gels – when it gels, you know your broth is full of cartilage-building collagen, gelatin, proteins and amino acids. Bone broth also inhibits infection, fights inflammation, reduces joint pain and inflammation, and promotes strong healthy bones (for you and baby). Bone marrow is used in making broth, and it’s considered a tonic for the brain, as the brain is said to be the “Sea of Marrow.” Being that bones are heavy in nature they are also said to have a calming effect on the spirit, so bone broth is often used to treat anxiety and insomnia. How should I consume Bone Broth? You can use it and consume it in so many ways! The easiest, and probably my favorite, is to drink it like hot tea. I add a good amount of Celtic Sea Salt and a dash of cayenne – yum! It can also be used as the base to make soups or stews, used in lieu of a cooking fat for sauteing vegetables, or used to cook your grains in (instead of water). If you can’t seem to get bone broth in every day, you can get Great Lakes Collagen Powder. It can boost mental clarity, reduce inflammation, firm and plump your skin, and mixes easily with a neutral taste. I always a couple tablespoons to my tea in the morning, to my smoothies and I try to get 1 Tbsp in water at bedtime. … Or you can make this delicious homemade chicken broth recipe so you always have some homemade goodness on hand :). Yes, it’s a labor of love but I promise that it’s worth every minute! When using poultry, it’s best to use organic, pastured birds. This means not just “cage-free” (not in a cage but still inside) but birds that have freedom to roam OUTDOORS, and get vitamin D from sunlight and protein from the bugs they eat. Also, if you can find a farmer who does not feed soy to their chickens, that is ideal. If they do feed soy, make sure it is organic (you do not want to eat chickens that have eaten genetically modified soy). Place poultry parts and bones into large stock pot or dutch oven with water and vinegar. Let stand 20-30 minutes. Add the vegetables & herbs to the pot and enough water to cover (only fill to within an inch of the rim). Bring to a boil on the stovetop and remove any scum that rises to the top (I find that there is almost no scum when I am using pastured birds). In the meantime, preheat oven to 210 degrees. Once stock is simmering, transfer to oven and cook, partially-covered, 18-24 hours. The longer you cook the stock, the more flavor and nutrition it will have (I cook my chicken stock for 24 hours). About 10 minutes before finishing the stock, add parsley for extra minerals. Remove bones and vegetables with a slotted spoon. Discard or grind them up and use them in pet food. Once done, strain the stock into 1-2 large bowls. Cool over an ice bath, and strain into quart sized canning jars. Store in the refrigerator for a few hours or overnight, until the fat rises to the top and congeals. Skim off the fat with a spoon and store it in your fridge or freezer to use in cooking (nothing wasted!). Now you can either store stock in mason jars in the refrigerator to use within the next 3-5 days or you can transfer jars to the freezer (if freezing, only fill within 1 inch of the top to allow for liquid expansion). You can also pour the stock into ice cube trays and freeze. When frozen, pop the cubes out of the trays and store in Ziploc bags or Tupperware in your freezer. Now you have 1-ounce cubes of stock, pre-measured and ready for any recipe! PS: I have GREAT recipes for beef and fish bone broth too … let me know if you’re interested :). What do you think is the best bone broth flavor – poultry, beef, or fish? What’s your favorite way to use bone broth? Did you know that you can get bone broth ordered directly to your door? Check out The Brothery if you don’t have the time to make it yourself! Spread some Fish and Seafood lovin’! Sharing is caring, and I bet you have some friends who would love to read this too :).